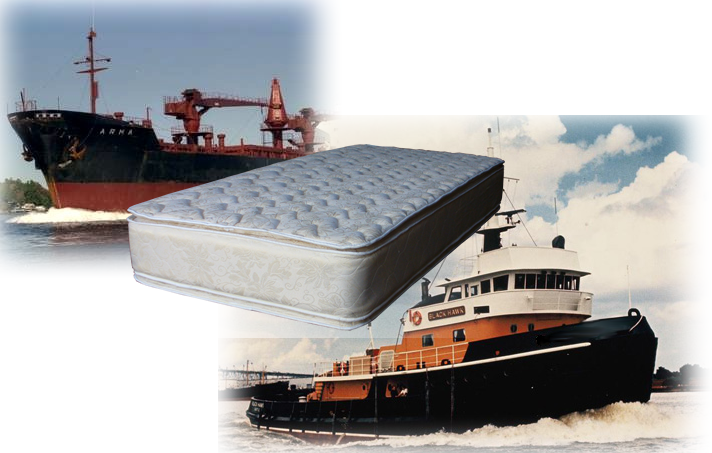 We manufacture custom sized mattresses for wokboats, tugs, cruise ships, ocean going vessels, offshore rigs, etc. When you have a deadline and the ship can't wait, we're the ones to call. Meet Coast Guard, SOLAS, flammanility and IMO standards. We offer a wide variety of mattresse to meet whatever your need might be. From the Highest Quality Pillowtops and Tempur Foams to Standard spring and crew mattresses. The entire Pro-Care® Line of products is designed, engineered, and manufactured in house at our facility in Houston, Texas. We provide a wide range of bedding products for every area of the Health care and Institutional marketplace. Our Lineup includes mattresses and pads for Hospitals, Hotel, Care Facilities, Marine, Offshore and Institutional use. Pads for OR Tables, Stretchers, Gurneys, Mattresses for Pressure Relief, Psychiatric Care and Nursery, Cart Covers, Cubicle Curtains, Shower Curtains, Body Positioners, Medical Specialties, Table extensions & accessories. Our acclaimed Craig Bed (Modular Rehab Bed) is used for effective treatment of Traumatic Brain Injury, Huntington's and Cerebral Palsy Patients, or where safe environment is needed without the use of restraints. Since 1972, Quality Mattress Company has been manufacturing innovative solutions in bedding and healthcare. We sell to Home Furnishings Retailers & Distributors, Decorators & Designers, Hotels, Hospitals, Psychiatric Centers, Rehab Institutions, Treatment Facilities, Nursing Homes, Long Term Care Centers, Clinics, University & College Dormitories, Camps, Retreats, Prisons & Youth Facilities, Offshore Rigs & Work Camps, Modular Housing Manufacturers, Ship & Boat Owners & Operators, Truck Sleeper Cabs, Commercial & Contract Purchasers. • Pearl Continental Hotel (Five Star)- Lahore, Pakistan. 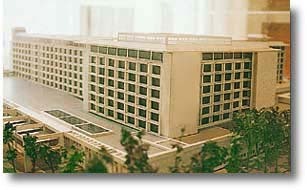 • Hospital Guillermo Grant de Concepci�n, Chile.